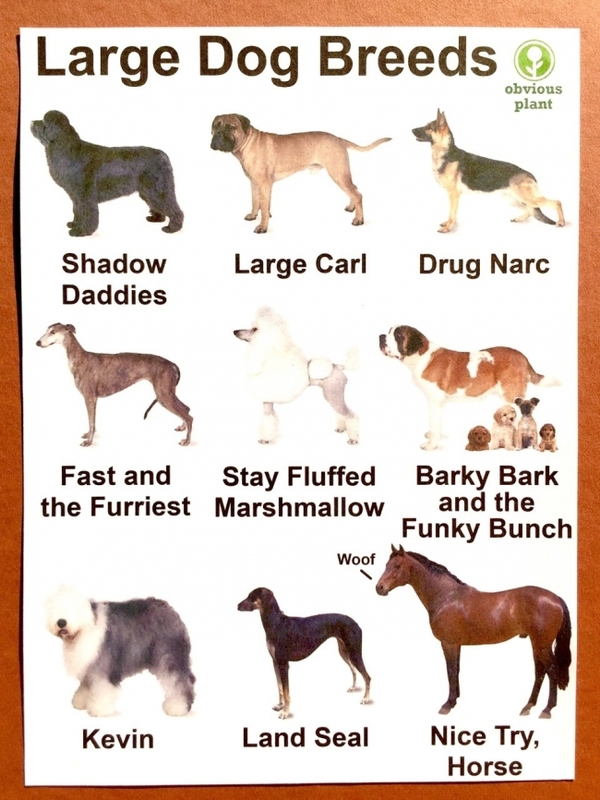 Prankster Jeff Wysaski of Obvious Plant finishes his series in which he finds of alternate, more appropriate names for dog breeds. Large doggos. The trilogy is complete!